A universal high-grade silicon paste for use in high temperature applications. 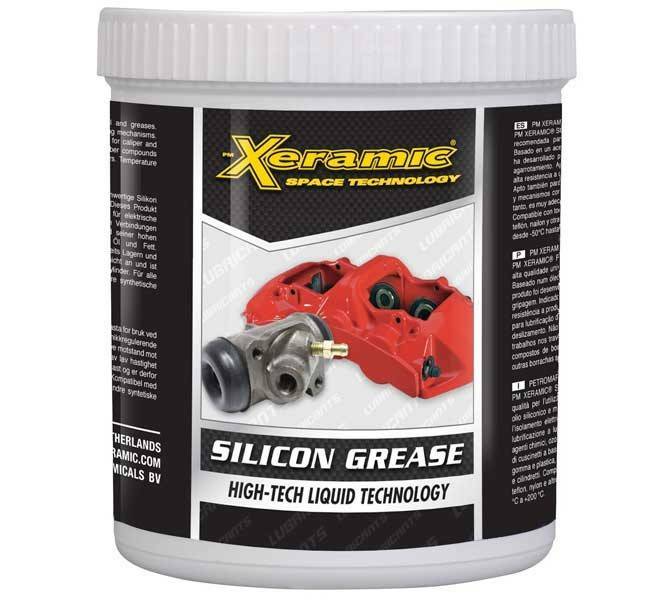 PM XERAMIC® SILICON GREASE is a universal high-grade silicon paste for use in high temperature applications. Based on silicone oil and inert fillers this product has been developed for the electrical insulation anti-adherence and anti-seizing. Suitable for long term lubrication due to its high resistance to chemicals, ozone, water, oil and greases. Suitable for lubrication of low speed bearings and sliding mechanisms. Does not affect rubber or plastic and therefore perfect for calliper and wheel cylinder assembly work. Compatible with all rubber compounds including nitrile, Teflon, nylon and other synthetic rubbers. Temperature range -50ºC up to +200ºC.